It was for the first time in my life that I came across such a large number of museums situated in an area of less than 2 square kilometers. 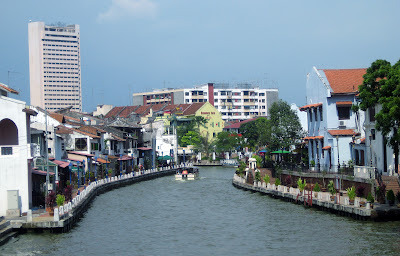 In Melaka, most of the museums are situated east of the river. 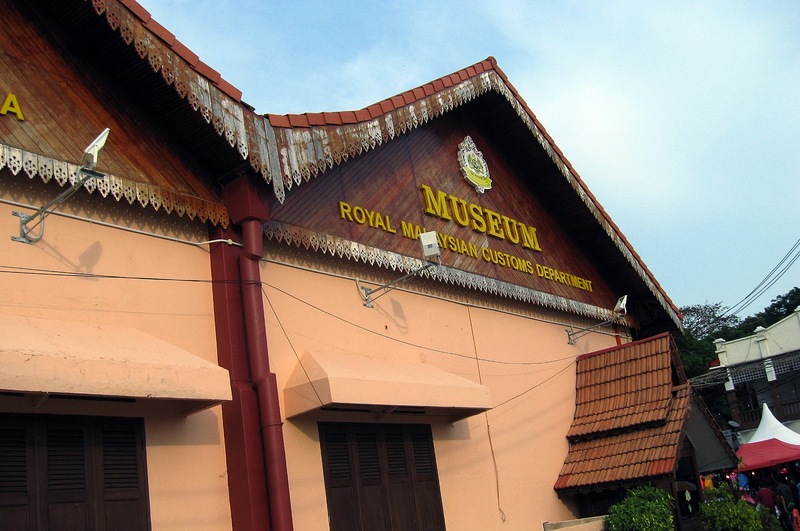 You name a kind of museum, and Melaka is there to offer you the same. And what’s more, entry into most of them is free of cost. 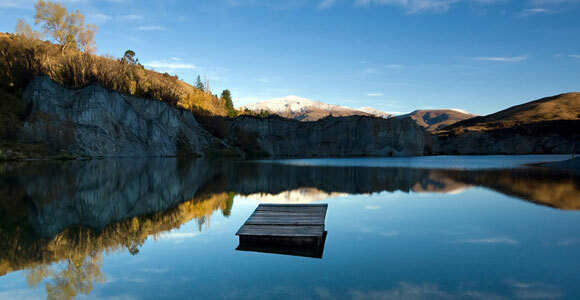 All they ask you to invest is a good amount of time to absorb what is there to see and understand. And if you are going to spend a lot of time in Melaka, don’t miss these museums, as you will return enriched with in-depth knowledge of Malaysian culture in general and Melaka in particular. Some of the most famous ones are the twin maritime museums named Samudera, Customs Museum, and History & Ethnography Museum housed in the building called The Stadthuys and Cultural Museum just besides A’Famosa fort. Most of these museums are situated around and at the base of St Paul’s Hill, and are within a walking distance from each other. So close are these museums to each other, that while heading onto Jalan Kota from Town Square, you will see only museums on your left side until you reach A’Famosa fort. Only Customs Museum, twin Samudera Museum and Naval Museum are the ones that are situated along the waterfront. Entry into Customs Museum is free, while there is a combined ticket of RM 3 for entry into three museums i.e. both maritime museums and the naval museum. One of the two maritime museums is situated inside a replica of a Portuguese ship called Flor Do Mar, which had sank off the coast of Melaka some five centuries back. In this museum, one can read about the detailed descriptions of history of Melaka (previously Malacca) and see a map that has actual charts used by Portuguese sailors some five centuries back. The History & Ethnography Museum housed in The Stadthuys at Town Square is a place to know a great deal about Melakan culture and history through artifacts, costumes and drawings on display there. The Stadthuys is besides the Christ Church. The Stadthuys has also got a history. Built in 1650, this red building used to be the official residence of Dutch governors. Nearby it, though on the other side of church, is Youth Museum where one can know about youth activities in Malaysia. Exhibits relating to youth leaders from around the world are also on display here. It also functions as a youth centre. 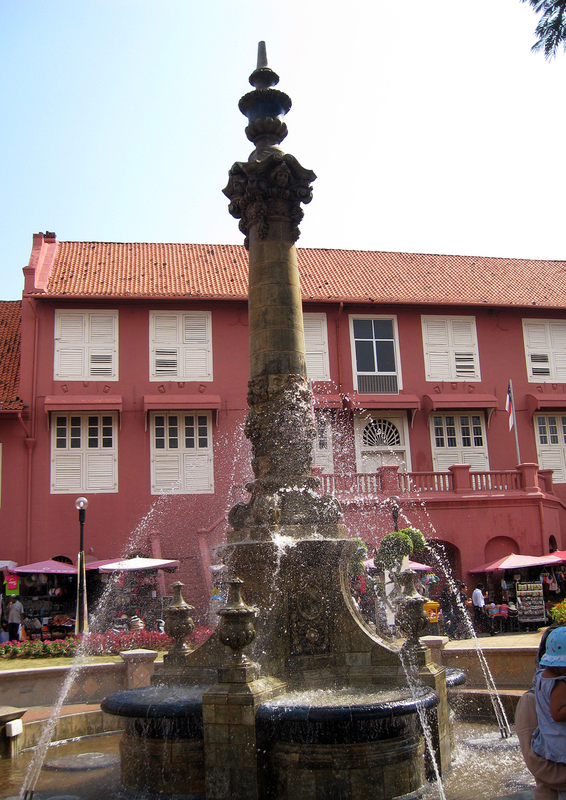 Apart from government-run museums, there are also two private museums in Melaka. One of them is called Villa Sentosa and other one is known as Baba Nyonya Heritage Museum. Villa Sentosa is basically a Malay house which has been converted into museum and it offers a glimpse into a traditional Malay home. 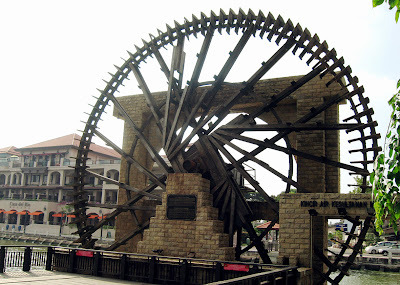 It is situated on river bank in Kampung Morten, the only Malay village in Melaka. Baba Nyonya Heritage Museum is at Tan Cheng Lock Street on the west side of the river. It is basically an ancestral house of a Straits-born Chinese family and which has been converted into a museum. A visit to this museum gives an insight into the culture and legacy of the Straits-born Chinese called Baba and Nyonya. I would be detailing about Baba Nyonyas in another article of mine. The moment I entered Melaka, its colours started meeting my eyes. These colours came to me on three wheels. Baffled!! 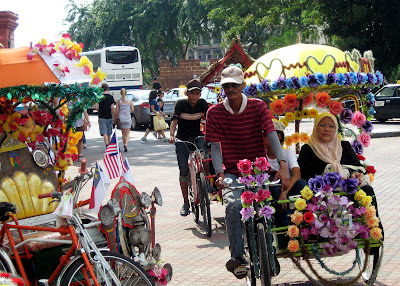 Well, I am talking about the trishaws plying on the clean and quiet roads of Melaka. You will not see so much colourful trishaws anywhere in the world. 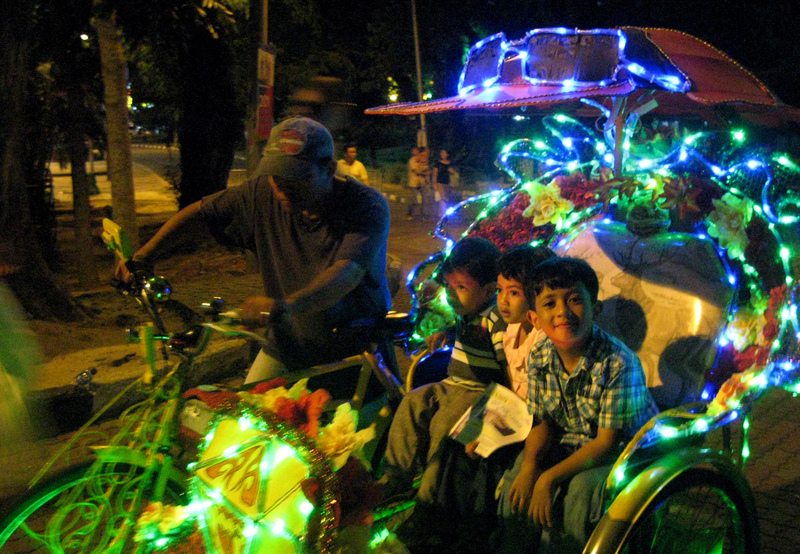 These trishaws are decorated with artificial flowers, and music never stops playing from them. 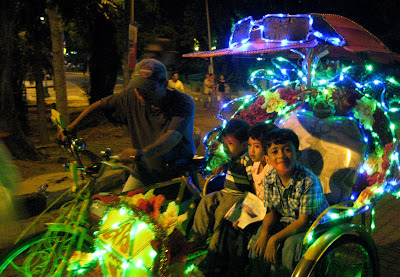 And as soon as daylight starts diminishing, these trishaws start lighting up. It is pleasure watching them ply on roads, and it is fun having a ride on them. If everywhere else trishaws are a mode of transportation, they are essentially a joyride in Melaka. But before you hop onto one of those, fix a fare with its owner. And as twilight of evening starts descending down, one can see an increased rush at boat ticket counter. Yes, this is the time when everybody wants to be on a boat for a 40 minutes ride up and down the river. It costs you just 10 RM. The ticket counter is at riverfront and is some hundred metres down the Red Square. 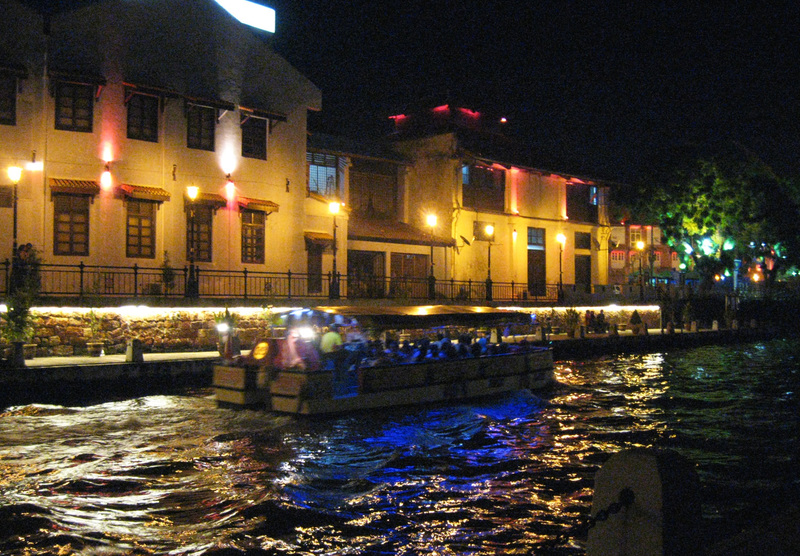 Though, boat-rides start in the morning and goes till late in the night, it is always preferable to go for it during night hours. 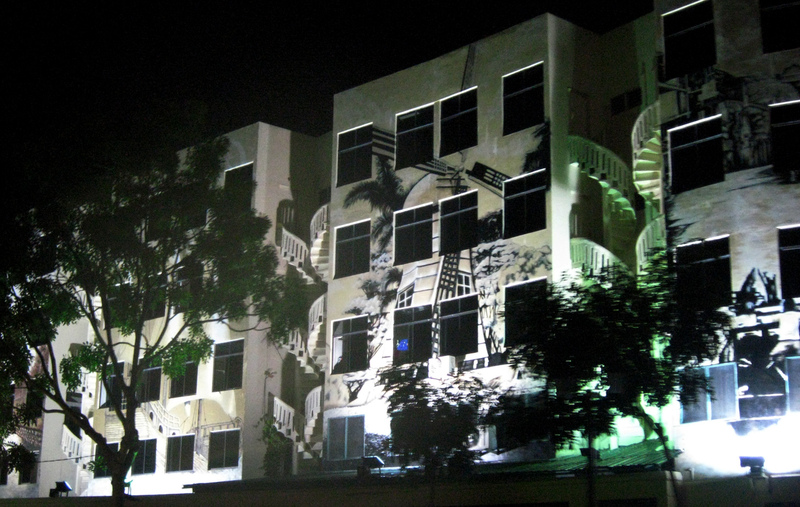 Beautifully lit river walk and colourful graffiti on the back-walls of buildings lining the shores of river will make you feel as if you passing through some wonderland. 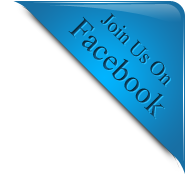 Well, you won’t miss anything of historical value along the way as a recorded commentary will keep you updates about what you are seeing or what you are passing by. And don’t miss the friendly smiles from the people strolling on the river walk or sipping their drinks at the back of restaurants and guesthouses. When you start your ride from the heritage town, you first go up the river, and on the way you can see old Melaka diluting into new Melaka. The old-styled heritage buildings giving way to new high rise building! And dim lights suddenly turning brighter. 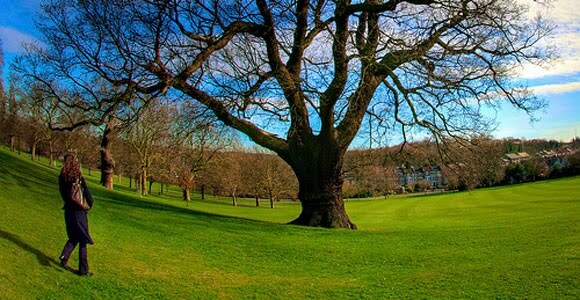 And on the way, just the reverse of it… as if a time-machine is taking you back in the bygone era. When you are about to finish the first leg of your ride and pass Jalan Hang Tuah Bridge, looking on your left side… you will see Eye On Melaka. It is 25-metre-tall observation wheel or ferris wheel. 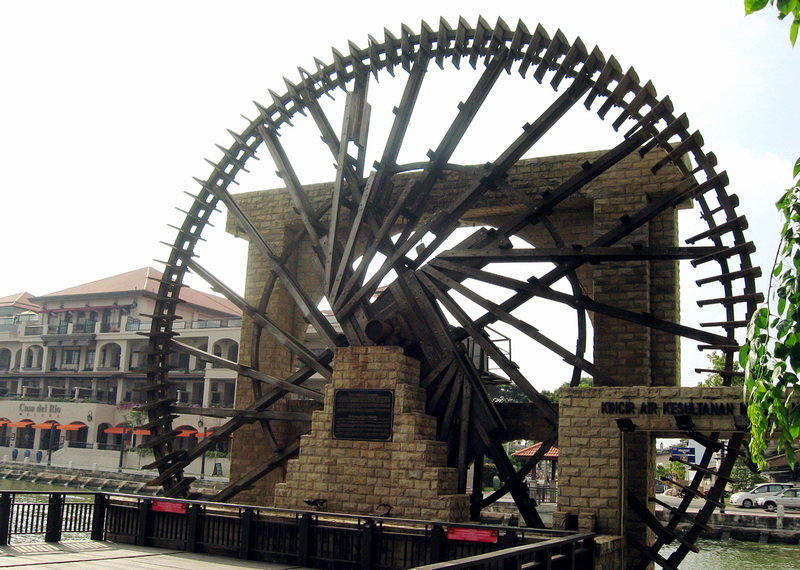 It is the latest attraction of Melaka. Just opposite this ferris wheel is old Cathy Cinema. 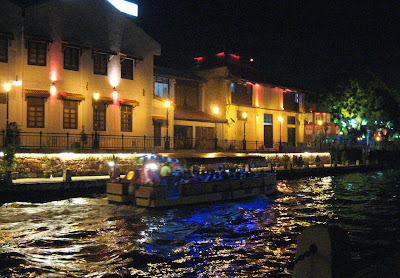 I enjoyed my boat ride on my last night in Melaka. There had been raining there since afternoon. By the time, I reached at ticket counter; the rain god had relented a bit. But as soon as boarded the boat, it started again. Though a bit complaining at first I was suddenly finding a new joy in getting myself soaked. As it was going to be my last night there, I wanted to absorb all of what was coming my way in Melaka. Everything, including rain!! Also, the lights around me looked more enchanting as these flickered through rain drops. So, for me, this boat ride turned somewhat more special. And do not miss going up St Paul’s Hill in night. 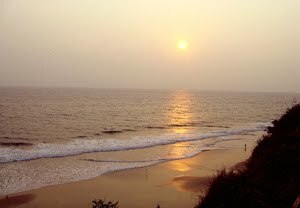 When you look in the direction of the sea from the top of the hill, you will be amazed. 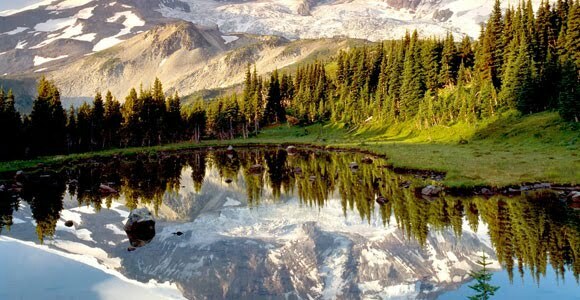 A panoramic view is waiting to be a feast for your eyes. The revolving viewing deck of Menara Taming Sari directly in line of your vision, well-lit buildings symmetrically erected in the reclaimed land, and ships and boats venturing in sea beyond that….it is a sight that you won't forget easily. Melaka was not a part of my travel plan this time. In fact, it had not been ever before. I had heard about this city, its history and its magnificence, but had never given a serious thought about going and spending some time there. All I wanted to go to in Malaysia -apart from Kuala Lumpur- was the Malaysian part of Borneo Island. Natural wonders of Sabah and Sarawak have always lured me, and there has been a constant urge in me to go wandering in the rain forests of Borneo. So, as soon as I got to know about a good offer for Mumbai-KL route from Air Asia, I was searching for flights from KL to Kota Kinabalu and reading about places I could visit there. And, then it happened. Nicole Felhosi, my friend from Germany, was online and we started talking about my travel plan. I had met Nicole while I was travelling to Bali. She was on a world trip at that time, and had happened to travel to Melaka once during her trip. She told me that Melaka was not to be missed at any cost and I must have included it as one of my destinations. She even stressed that I should have prepared my itinerary in such a way that I happened to be in Melaka from Friday to Sunday. She said that the weekends in Melaka were fabulous and colourful, and Jonker Street in particular was a site to watch and it was fun to be there in night. She also gave me some information about the places to stay in Melaka. So, I made up my mind, and one fine Friday afternoon, I was in Melaka, the historical city of Malaysia- admiring its quietness, beauty and colonial charm, and thanking Nicole in my heart. After landing at LCCT of Kuala Lumpur International Airport, I boarded a direct bus for Melaka. There is only one bus company that operates between LCCT and Melaka, and that is Transnasional (yes, the spellings are that way only. It is Malay way of adopting foreign words). They have one of the finest buses; you get to travel in a club class. One can book tickets online also with Transnasional, but I preferred to book them at their counter at LCCT as I was not sure if my flight from Siem Reap to KL would land on time. Interestingly, you will not find their counter in the international arrival hall. You will have to come out and then walk a few minutes to the domestic arrival hall where you can book your ticket. I preferred to book a return ticket @ RM 22.10 one way. When I boarded the bus, I did not know that the next three days were going to be some of the most memorable ones of my life. The road journey ended exactly two and a half hours later, when our bus entered into Melaka Sentral. It is a huge octagonal building in the north-eastern part of the city that lies on a north-western and a south-eastern geographical axis. Melaka Sentral houses a bus terminal along with many good food outlets and shops. From the terminal, buses seem to operate for every corner of the world. From here, you can go cross-border into Singapore, or to almost every part of Malaysia; and from here only, you get local buses for various destinations in the city. 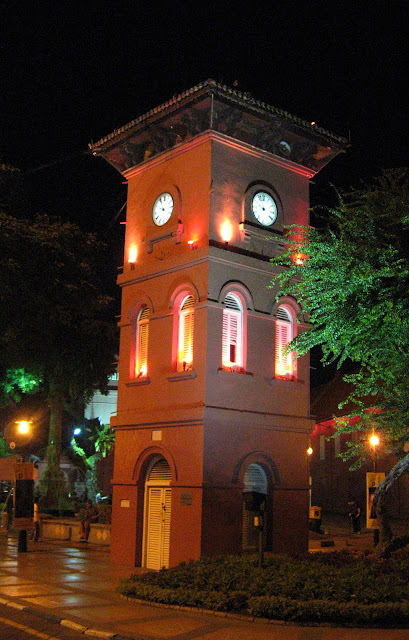 The main area of interest for a traveller in Melaka is the heritage city which is situated along the sea-shore and is spread a couple of kilometers inland on the both sides of Melaka River. 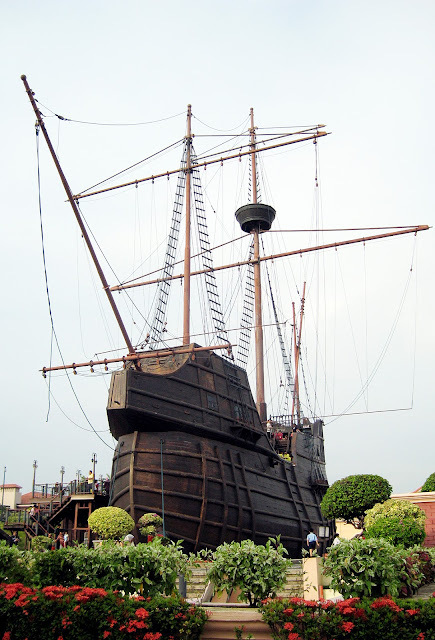 Melaka is a natural port and it has been an important stop-over for trade-ships plying on the routes connecting east and west since ancient times. Beacuase of its high importance as a port, it invited foreign invasions and has seen Portugese, Dutch and British as its rulers. 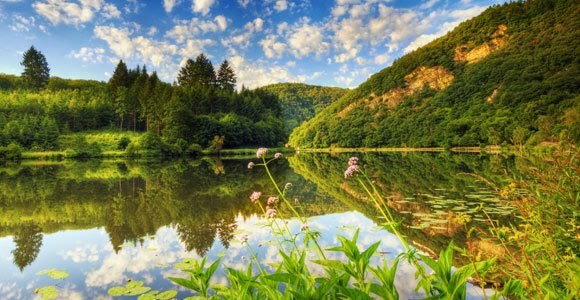 So, during those times, area around the river and near the sea had been the centre of activity and was important from strategic point of view. So, naturally, you find most of the ancient buildings or places of historical importance in this area only- thus, giving it its name as heritage city. And in this part only, you find the Jonker Street, the A’Famosa Fort, St. Paul’s Hill, the St. Paul’s Church, the Town Square (also called Dutch Square, or some times as Red Square... but the last name should not be confused with the nomenclature of Red Square in Moscow where it is associated with communism. In Melaka this name comes from red colour of buildings here which is a characteristic of Dutch colonial architecture) and a cluster of museums housed in ancient buildings. So, very obviously, most of the backpacker hostels and guesthouses are in this area only. There is a 24-hour taxi service from Melaka Sentral to this area. A one-way taxi trip costs you RM 15 till midnight. And after midnight up to 5’o clock in the morning, one has to pay just the double of it. So, if you are on a budget travel and want to spend more on good food and beer during your stay, better board a local bus. Bus no. 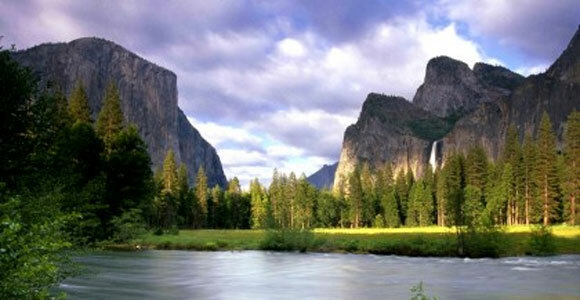 17 takes you to Red Square in just 1 RM, and from here one can easily walk to the nearby areas. 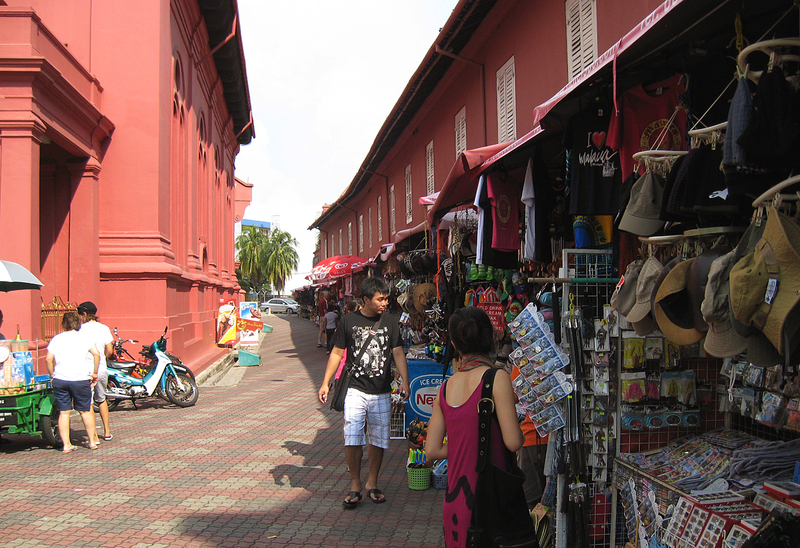 Remember, Melaka is not a very big city, and walking around is a fun there. And that was what I did exactly while I was there for three days. I just strolled around during evenings. Not just I saved a lot of money; I got to feel the city. What imparts Melaka its original colour is its ethnic diversity. 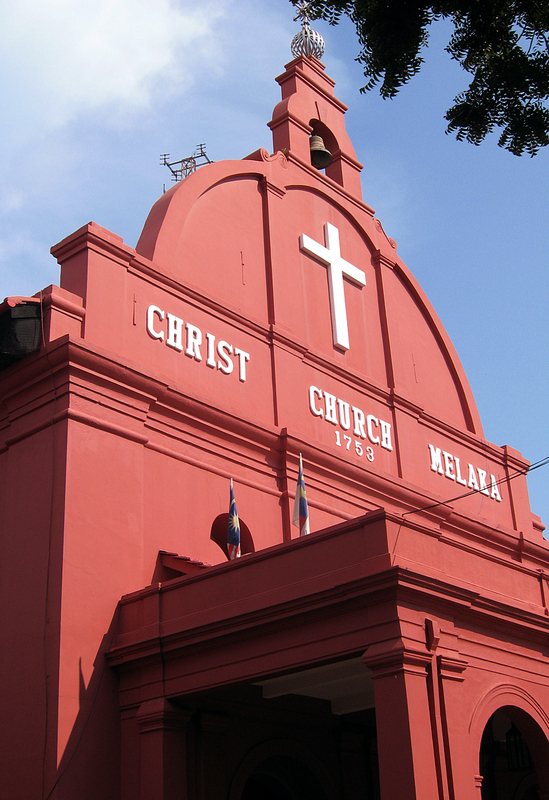 Apart from the local Malay people, Melaka is home to Baba Nyonyas, Chittys, Portuguese, Chinese and Indians. Baba Nyonyas are the strait-born Chinese people. They are a mixed race which came into existence when Chinese settlers came here some 600 years ago and married Malay woman. They have a very interesting cultural history, about which I will be detailing in my next articles. Like Chinese, early Portuguese settlers, who were fishermen, also married locally and their descendants are still living in Melaka. Chittys are strait-born Indians, who are descendants of early Indian settlers which came here in 15th century. Also, there are Indian people called Chettiars, and a Chinese community that came to Melaka during British rule or after that. These communities still maintain their own cultural identity, and thus contributing significantly towards overall cultural scenario of Melaka.